Roberto Corrada has devoted his scholarly attention to three primary areas: the rights of ethnic and sexual minorities; the public/private distinction in labor and employment law; and the scholarship of teaching and learning. He has published articles on these subjects in the Wake Forest Law Review, the Cincinnati Law Review, the Houston Law Review, the Miami Law Review, the Catholic University Law Review, the Berkley Journal of Labor & Employment Law; and the Journal of Legal Education, among others. In addition, Corrada has published casebooks in administrative law and employment discrimination law. A distinguished teacher, Corrada has been recognized for his innovative work in the classroom. In 2000, he was selected as national Carnegie scholar for his active and collaborative learning efforts in his labor law classroom. 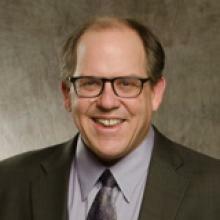 In 2002, he was named University of Denver College of Law Donald & Susan Sturm Professor for Excellence in Teaching and Learning.He has won the University of Denver Distinguished Teaching Award and has been recognized as a DU Law Star. For 20+ years, Corrada has been extensively involved in service work with local and national institutions. In 1998, he was chairman of the board of the ACLU of Colorado. In 2002, he served as chair of the Association of American Law Schools Labor & Employment Relations Section. From 2000–2010, he served as secretary of the Latino/a Critical Legal Theory Association. In 2007, he helped form the Denver Urban Debate League, which he currently co-chairs.